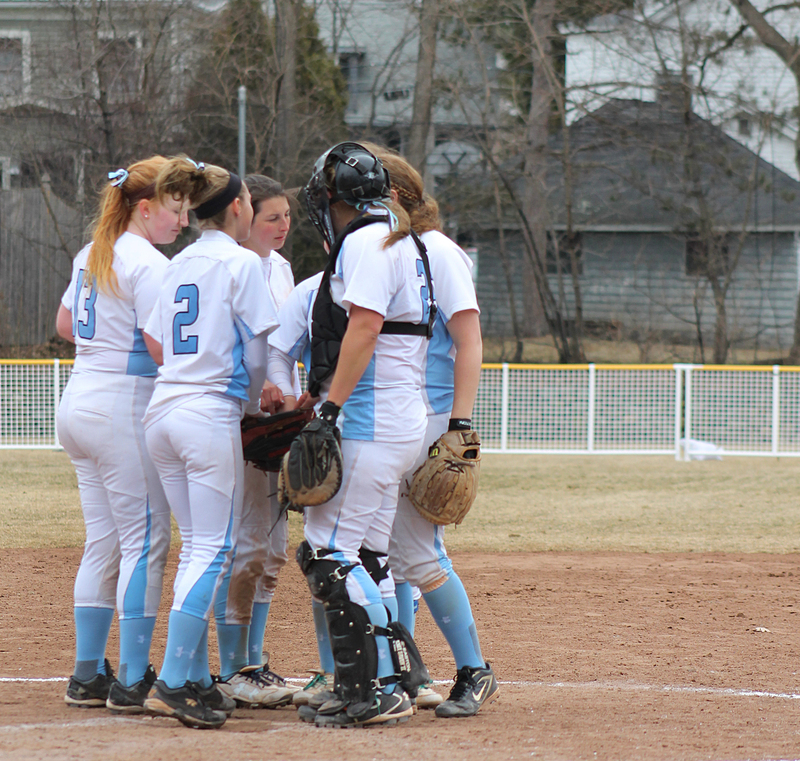 It’s hard to believe with all this snow on the ground that the softball season is right around the corner, but the Lasell softball team has been getting ready since last fall. For the two senior captains, Denise Archetto and Michaelea Grady, the years leading up to this season haven’t been the easiest. With four coaches in four years, and a tough start between the two of them, it’s been a rough ride. Now, four years later, the women are close friends. Not only have they been working on their friendship, they’ve also been working on their relationships with new coaches. Both women have a very positive attitude about this season and their new coach, Rich Paulhus. It’s a bittersweet season for the two, who both have been playing since before high school. “It’s terrifying, I’ve been playing since I was four years old,” said Grady.